Nautical Boat Club® locations at Irmo and Lexington experience extraordinary growth as Columbians show their love of lake life. COLUMBIA, South Carolina – Lake Murray Boat Club®, a licensee of Nautical Boat Club®, announces the Grand Re-Opening of its Lexington location at the Peninsula at South Shore Marina as Nautical Boat Club® – Lexington. At the same time, the Boat Club’s Irmo location has reached full membership capacity at the Lake Murray Marina at Marina Bay. The Lake Murray Marina location in Irmo will be beginning a waitlist for new memberships. Based on many years’ experience, the business expects a limited number of memberships to become available this spring as existing members relocate or opt to go inactive. New memberships will be filled from the waitlist on a first-come, first-served basis. Lake Murray Boat Club® is offering the very first waitlist spots to folks attending the upcoming Columbia Boat Show [February 8 – 10th]. The Club is holding a limited-time Priority Enrollment period in conjunction with the Show; prospective members can reserve their spot on the Irmo waitlist by visiting the Boat Club booth at the Boat Show. For those that cannot attend the Boat Show, call the Boat Club as soon as possible to scheduling your personal tour during our Open House Weekend following the show. Meanwhile, the Boat Club is offering expanded boating opportunities at its location across Lake Murray, in Lexington. Its location at the Peninsula at South Shore Marina is currently undergoing a makeover, with plans for a gorgeous Grand Re-Opening later this spring as Nautical Boat Club® – Lexington. Nautical Boat Club® – Lexington is currently accepting new Charter Members; Charter Members pay no annual Membership Renewal Fees as long as they remain active, and no New Member Training Fees. All members receive unlimited boat use, guaranteed reservations with an availability rate over 97%, complimentary use of water toys, premium dockside valet service, and reciprocal guest privileges at all Nautical Boat Club® locations nationwide – including all three in South Carolina. For more information about Lake Murray Boat Club®, please visit www.LakeMurrayBoatClub.com. 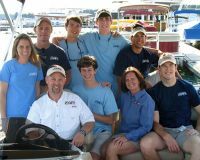 For more information about Nautical Boat Club®, please visit www.NauticalBoatClub.com. AUSTIN, Texas – Nautical Boat Clubs® proudly announces the grand opening of Nautical Boat Club – Mount Pleasant – the company’s thirteenth national franchise, and a third location for South Carolina members. Nautical Boat Club – Mount Pleasant will be located at the beautiful new Wando River Marina, offering members easy access to the four rivers flowing into the harbor – the Wando, Cooper, Ashley, and Stono – as well as Shem Creek, Mount Pleasant’s popular waterfront dining and drinking district. Nautical Boat Club – Mount Pleasant members will especially enjoy the quarter-million-dollar fleet of state-of-the-art watercraft available at the new location, including sportboats and skiboats, fishing boats with center and dual consoles, and luxurious pontoons with all the latest features. For more information about Nautical Boat Club – Mount Pleasant, please visit http://NauticalBoatClub.com/charleston-harbor-mount-pleasant/. Founded more than two decades ago, Nautical Boat Clubs® was a pioneer in the boat-club business. The company’s Boating Country Clubs® are a simple alternative to buying a boat: for about one-third of the cost of purchasing a single boat, members get unlimited use of a selection of brand-new boats and the convenience of valet boating service. Monthly dues cover all expenses except for gas. Nautical Boat Club – Westlake will be located at the Lake Austin Marina, the lake’s only full-service marina, providing 168 boat slips, fuel and a fully stocked ship store. Certified by ValvTect, Lake Austin Marina is also the lake’s only Certified Clean Texas Marina, demonstrating its commitment to environmental responsibility, clean activities, and best management practices. As further incentive, Nautical Boat Club – Westlake is offering a special bonus for those who act promptly: The first 40 members at the new location will receive Charter Memberships –and will never have to pay an annual renewal or rejoin fee. For more information about Nautical Boat Club – Westlake, please visit http://NauticalBoatClub.com/austin-texas-lake-austin-westlake/. AUSTIN, Texas – Nautical Boat Club® proudly announces the premier of Club Hire-To-Owner [H2O], an accelerated path to franchise ownership for Nautical Boat Club® employees. Club H2O is designed to encourage and enable high-quality, hardworking Boat Club hires to become owners of their own franchise locations in a solid company and a unique industry. The Club H2O program provides full-time Nautical Boat Club® employees with a structured path to successful ownership of their own franchise. Eligible candidates with a minimum of three years of management experience at an existing Boat Club may be considered for the General Manager position at a new location they intend to purchase; qualified GM candidates may be offered the option to purchase that franchise location following three years there. This six-year system is minimal compared with typical franchisees, who come into the company with over a decade of managerial or executive-level business experience. Once employees are ready to purchase their franchise, Club H2O also gives employee-purchasers a discount on their franchise fee based on their tenure with the company – a 10% discount for each year they’re with Nautical Boat Club® after year one, up to a full 50% discount. The extensive, hands-on training employee-purchasers have received not only prepares them to run their own business, but also helps them build a business plan and secure competitive financing. Of course, standard pay policies and franchise agreement provisions apply, and ownership eligibility is based upon individual job performance and negotiation of a suitable location/market. For more information about Club Hire-To-Owner [H2O], please visit www.nauticalboatclub.com/boat-club-careers/ . Knoxville, TN – Nautical Boat Club is excited to announce the opening of their new location at Concord Marina in West Knoxville on April 19th. The club will offer an alternative to buying a boat with annual memberships starting at $195 per month. Members will receive unlimited use of all boats within their membership along with complimentary water toys including wake boards and inner tubes. The club will open featuring eight brand new boats, ranging from Malibu and Mastercraft wake boats to Regal sport boats and luxury tri-toons – including one double-decker with a slide. The first 40 members to sign up we be offered a discounted membership as part of the “Charter Member” program. Nautical Boat Club started over 20 years ago in Texas and has grown to over 10 locations, including Nashville, South Carolina, and even Wisconsin – all of which will honor membership access. AUSTIN, Texas – Nautical Boat Clubs® proudly announces the grand opening of Lakeway Boat Club at Lake Travis – the company’s tenth national and fifth Texas-based franchise, and a fourth location for Austin members. Launched more than two decades ago, Nautical Boat Clubs was a pioneer in the boat-club business, and is Austin’s oldest and largest boat-club franchise. With its newest addition, Nautical Boat Club of Austin has two public clubs on Lake Travis – Lakeway Boat Club and Volente Boat Club, as well as two private clubs affiliated with Austin Country Club and Westwood Country Club on Lake Austin. The company’s Boating Country Clubs® are a simple alternative to buying a boat: for about one-third of the cost of purchasing a single boat, members get unlimited use of a wide variety of boats and the convenience of valet boating service. Monthly dues cover all expenses except for gas, as well as complimentary boating privileges at other Nautical Boat Clubs around the country. – tri-toon/party boats: a 2016 Avalon double-decker with a water slide, and 3 2016 Bennington 24SSRX models, 1 specified for fishing/pet-friendly. All Boating Country Club® members receive unlimited boat use, guaranteed reservations with an availability rate over 97%, complimentary use of water toys and premium dockside valet service. For more information about Lakeway Boat Club, please visit http://LakewayBoatClub.com. For more information about the Nautical Boat Clubs® Franchise, visit http://www.NauticalBoatClubs.com. Nautical Boat Club Opens Location in Dallas on Lake Lewisville! Dallas, Texas – Nautical Boat Club, part of the Nautical Boat Clubs, LLC franchise, opened its doors today at Cottonwood Creek Marina in Little Elm, TX. The members-only Boating Country Club® boasts a fleet of eight 2014 top-of-the-line boats for its members to enjoy. In addition, members enjoy complimentary use of the Club’s water toys (skis, wakeboards, surfboards, tubes and jackets), valet dock-side service and reciprocal boating privileges at other Nautical Boat Clubs around the country. Monthly dues cover all expenses except for gas. Launched more than two decades ago, Nautical Boat Clubs was a pioneer in its industry, and today, is one of only two U.S. boat club franchises. The company’s Boating Country Clubs® are a simple alternative to buying a boat- about one-third the cost of purchasing a single boat. Jonathan Hargrove, a twenty year veteran of the Financial Services industry, became a Nautical Boat Clubs franchisee in October of 2013 and has been preparing the way for the Club ever since. More information can be found at Nautical Boat Club’s new website: http://Dallas.NauticalBoatClub.com. Grand Opening at Center Hill Lake! NASHVILLE, TN – September 17, 2013 – The Nashville Boat Club starting its seventh season in Nashville on Percy Priest Lake and its fourth season on Old Hickory Lake in Hendersonville announces the grand opening of its Center Hill Lake location! The official grand opening of the Nashville Boat Club at Center Hill Lake will be Saturday May 11th, 2013. We will be located at Sligo Marina in Smithville, about an hour east of the current Nashville location. We picked Sligo for many reasons but most of all the convenience. You can drive down and park right by the water, with no hills to climb. You walk right by the restaurant and restrooms on the way to our boats. The boats are parked right by the gas dock and restaurant, making it very quick to gas up and get your boat in. Sligo is located in the most desirable part of the lake, near the center of the lake. 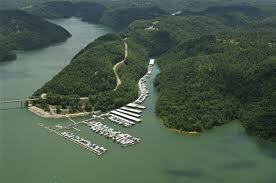 Marinas closer to Nashville are near the dam and are not as desirable for water sports and all the many coves on Center Hill for anchoring. You would spend a lot of time driving your boat to the more desirable part of the lake. Sligo is about a 15 minute boat ride to the popular Hurricane Marina and restaurant. Driving to Sligo you travel I 40 east to Lebanon, exit 239 and travel east on Highway 70 through the town of Smithville. AUSTIN, Texas – Nautical Boat Clubs, formerly Nautical Toys International, has completed a year-long corporate makeover – from company leadership to website – designed to attract more visionary entrepreneurs to its nationwide network and exponentially expand its presence across America. Launched more than two decades ago, Nautical Boat Clubs was a pioneer in its industry, and today, is one of only two U.S. boat-club franchises. The company’s Boating Country Clubs® are a simple alternative to buying a boat: for about one-third of the cost of purchasing a single boat, members get unlimited use of a wide variety of boats and the convenience of valet boating service. Monthly dues cover all expenses except for gas, as well as complimentary boating privileges at other Nautical Boat Clubs around the country. Tom Gardiner, a nine-year franchisee who took ownership of the company in July 2012, intends to extend those boating privileges to the extreme by spurring growth of the company’s franchises throughout the U.S.
Tom Gardiner grew up around water, always living near the ocean or a lake, with swimming and fishing part of his daily life. Gardiner was also a natural entrepreneur, having a strong sense at an early age that he wanted to be his own boss. To reach this dream as an adult, Gardiner learned all he could as an executive with Dell, Inc. and Enterprise Rent-A-Car. Beyond the realization that [then] Nautical Toys International had the right system in place for success, Gardiner also knew he had found his professional passion – a company with which he could do what he loved while loving what he was doing. Gardiner launched his first Boating Country Club®, Austin’s Volente Boat Club, at Lake Travis in 2004; he subsequently opened Westwood Boat Club  and ACC Boat Club  – both at Lake Austin – before buying the company last year. Since then, Gardiner has been preparing to take Nautical Boats Clubs’ successful business blueprint to the next level via a refreshed company name, logo and brand, as well as an enhanced marketing campaign complete with a website content and design reboot. Gardiner insists no one tells Nautical Boat Clubs’ story better than its franchise owners and their customers, so actual testimonials play a key role in the company’s new branding and marketing. More information can be found at Nautical Boat Clubs’ new website: http://www.NauticalBoatClubs.com. BALLENTINE, SC – April 26, 2013 – For seven years the Lake Murray Boat Club has helped countless families and individuals enjoy the beautiful waters of Lake Murray. A recreational boating company, the Lake Murray Boat Club offers its members unlimited use of a variety of boats as an alternative to boat ownership. During those seven years, LMBC serviced its clients from a temporary office and from the docks at Lake Murray Marina. Sunday, April 21, the Lake Murray Boat Club held an open house to celebrate its modern new office located at the recently completed Marina Center. The Marina Center is part of the new Marina Bay, a waterfront, lifestyle community featuring luxury apartments, a convenience store and Liberty on the Lake restaurant. Thanks to near perfect spring weather, over 100 members and guests were able to enjoy boat rides, kayak and standup paddling, and watch wake surfing demonstrations on the lake. New club boats slated to join the LMBC fleet were on display for the guests to preview. Sunday’s festivities also marked LMBC’s seven year anniversary. Jon Dukes, owner of the Lake Murray Boat Club, was excited when asked how he felt about leaving his old, familiar office and moving to his new office situated between the ship store and Liberty on the Lake. Dukes stated that the Marina Center is a definite improvement and club members will benefit from the new modern facilities which include a heated, resort-style pool. Residents of Marina Bay and their guests have shown a growing interest in LMBC. The staff is adjusting to the large number of inquiries from residents curious about the company. “We’re excited about our new neighbors, and we are anticipating a higher demand for our products and services,” said Dukes.